WILLEMSTAD, PHILIPSBURG - The Centrale Bank van Curaçao en Sint Maarten has received subscriptions with respect to the 0.83% loan per August 25, 2017- 2032 of the Country of Sint Maarten for a total nominal amount of NAf. 21,705,000 at an issue price of 99.98%. 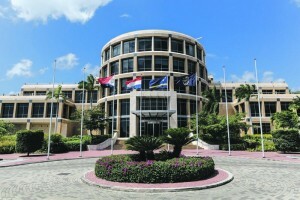 The Government of Sint Maarten has accepted the subscriptions at a price of 99.98%, at a yield of 0.831%. The nominal amount of the loan is NAf. 21,705,000. Settlement was due on Friday, August 25, 2017 at the Centrale Bank van Curaçao en Sint Maarten.